After a trip to the Opera that didn’t go over super well and wandering home taking photos a friend and I went out to dinner. He suggested a Chinese Restaurant he’d been frequenting since he was staying at a hotel nearby. The restaurant is right next to the Palladium. I ordered a coconut, pineapple and chicken green curry which I enjoyed. 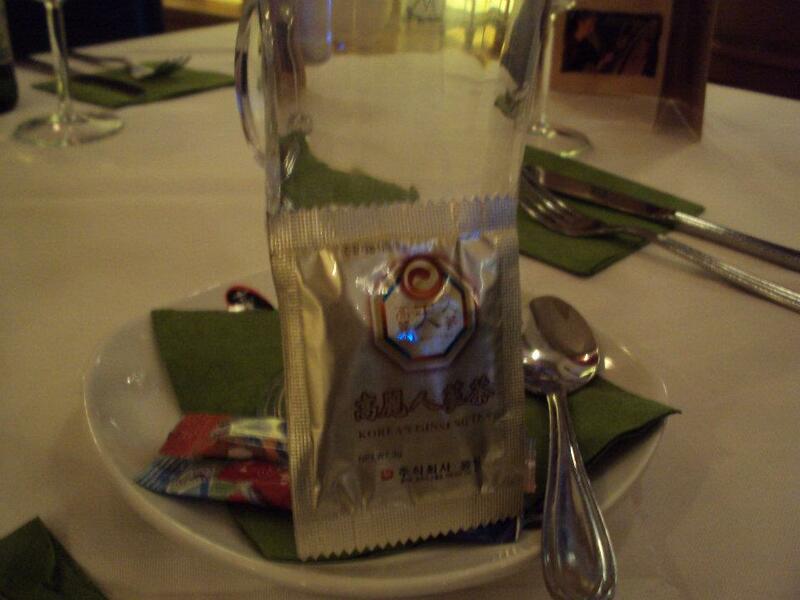 I also ordered tea and ended up with instant Korean ginseng tea. 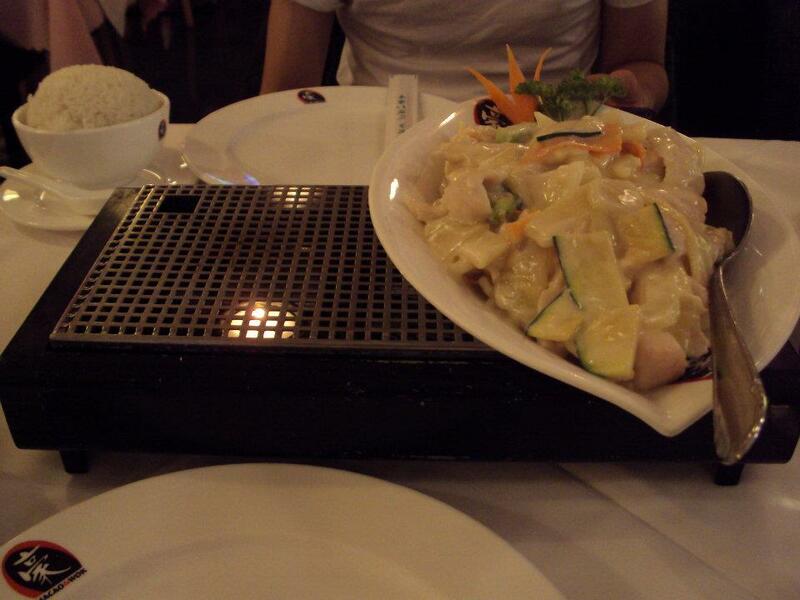 The restaurant staff was friendly and had a quiet atmosphere. We were there during one of the Euro cup games so I got to watch the match on one of the tvs.